Despite financial and technical support from the government, people are still skeptical about using biogas in Wangdue Phodrang. 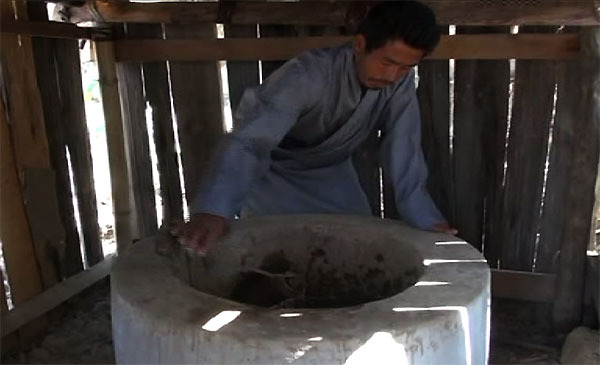 Despite being the biggest dzongkhag in the country, only 54 households are using biogas. Thanggo village in Wangdue Phodrang will soon have the highest number of biogas users in the district. From a total of 23 households, 14 households will be using biogas plants soon. A biogas user, Rada said since she started using Biogas, her expenditure on LPG has been very less. However, many still believe installing biogas plant was an expensive investment and it needs about 3,000 kilograms of dung during installation. People are also concerned about getting dung on a regular basis. Livestock Officer Ugyen said, many people are skeptical because, they are uncertain about its long term benefits. They are also worried about not getting enough dung. It costs about Nu 30,000 to install a biogas plant. And the government pays about Nu 11,000. Six biogas plants were installed on a pilot basis in Wangdue Phodrang in 2012.